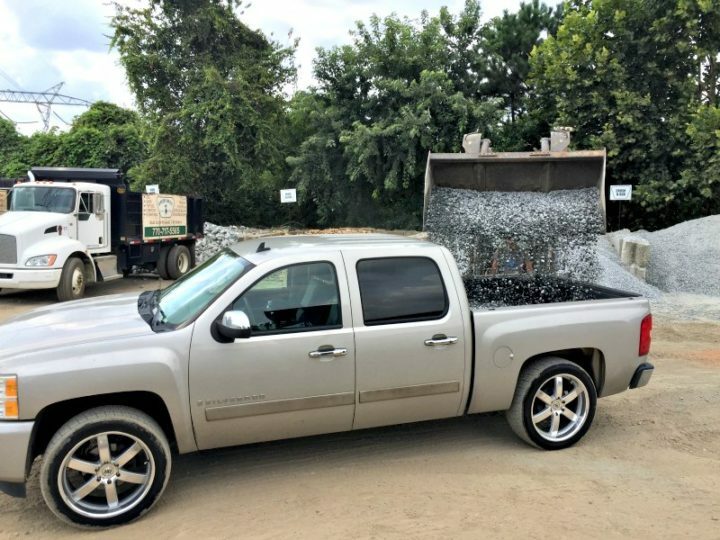 Waiting for a good sale at the local home improvement store is a decent way to save money on gravel or mulch, but if you’re willing to buy in bulk through landscape supply, you can save even more! 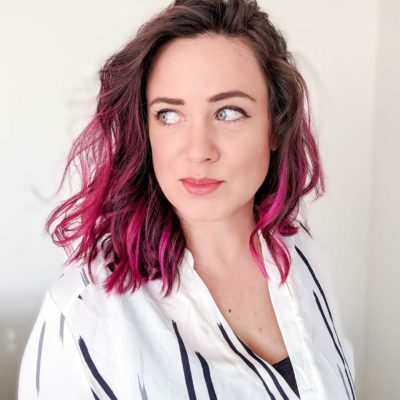 So since all of this is obviously a lot of work, I’m breaking it down for you guys post by post (it’s probably both easier for you guys to get all of the details this way as well as easier for me to write updates about). Note that these pictures span the last few weeks of making improvements in a lot of different areas, so you might see peeks of a few of these other projects too. 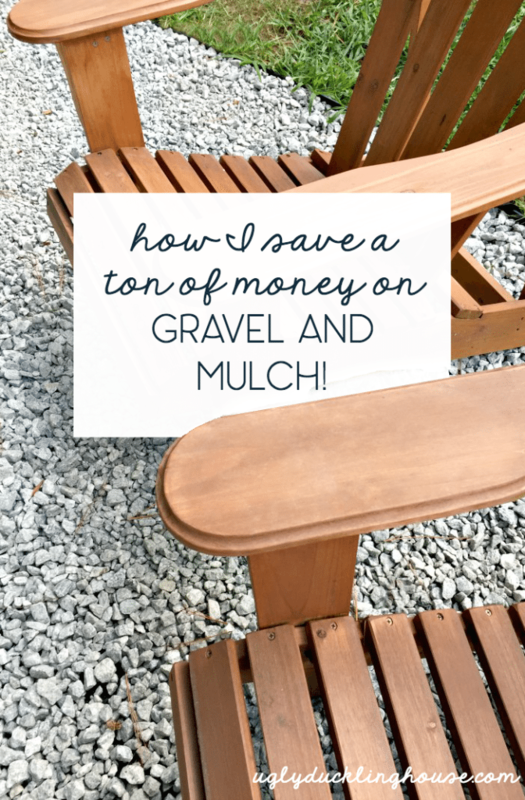 Let’s start with gravel and mulch — a topic that seems boring, but actually makes for an incredible difference in the yard! 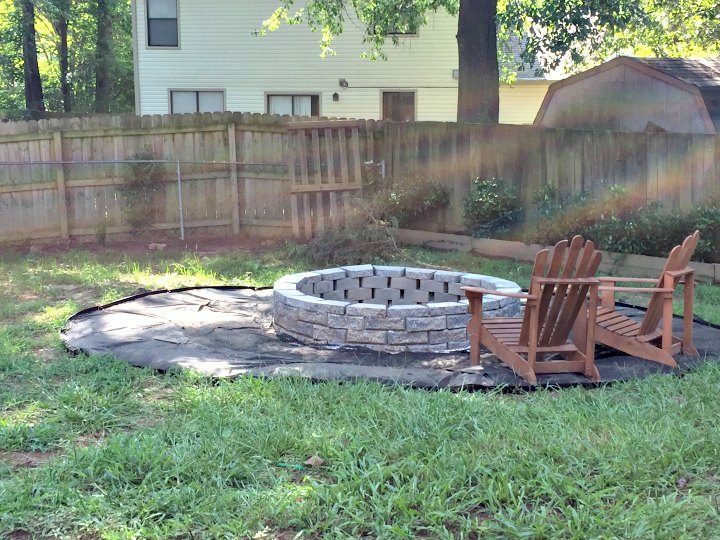 When I last updated you about the fire pit, we ended here — with the new pit installed (save for a few tweaks, like leveling out that one uneven stone), plus a new ring of landscaping fabric and edging that needs to be filled in with gravel. Considering the size of the ring I wanted to fill in, I figured doing things the same way like I did with the space around the A/C unit (with bags of egg rock) would be a really time-consuming process. Things like gravel and mulch go on sale at the local home store at least once a season, but I found an even better source in a local landscape supply. 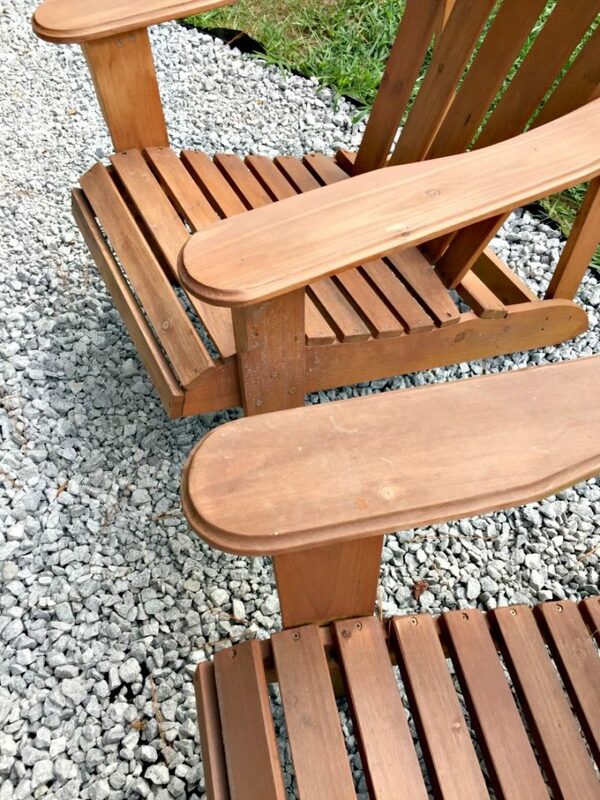 There are a few suppliers in my area, but one of the closest was Green Brothers Earth Works* and had all of their prices listed online, which made it a lot easier to plan out. 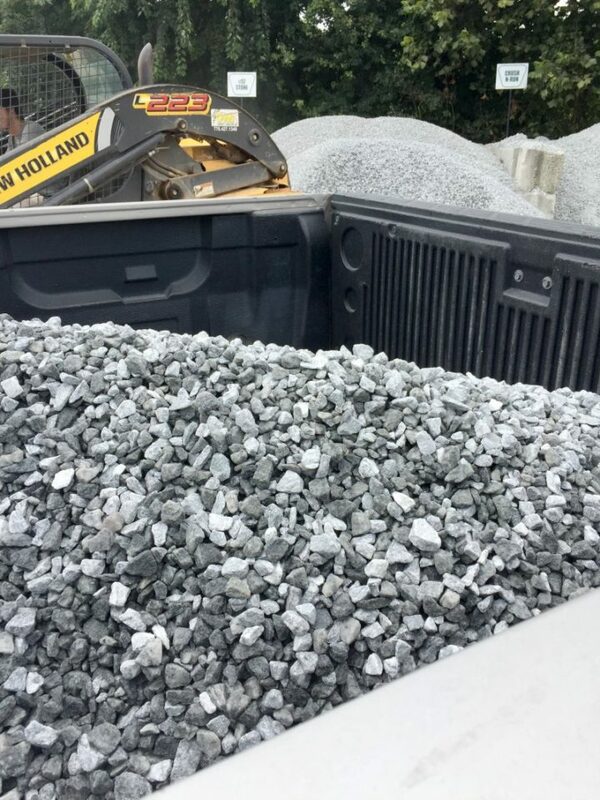 The general idea was to get half a ton of gravel and see how far that would take me, then go back for more (I now borrow my bf’s truck for these kinds of hauls, so time constraints aren’t nearly as stressful as when I had to get my dad to travel to my house and borrow his). My total cost: $15!!! It was fun to watch everything scooped up and deposited into the truck. It was also super straightforward (specify the amount you want to buy at the front desk, pay, drive the truck around, fill) and they have quite a lot of options to choose from. 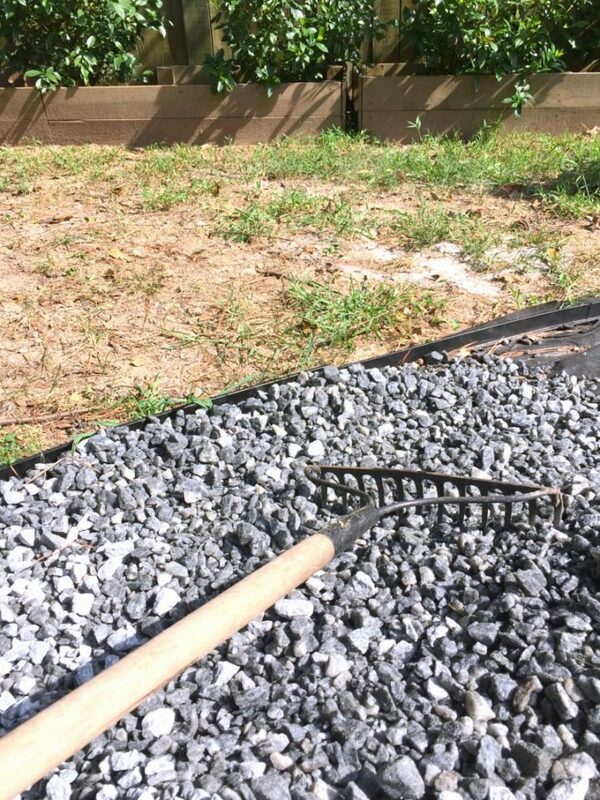 I did some research online before going so I knew already the type I wanted, but you can also walk around and look through all of your options before making a final decision (gravel, mulch, paver stones, sod, sand, topsoil). 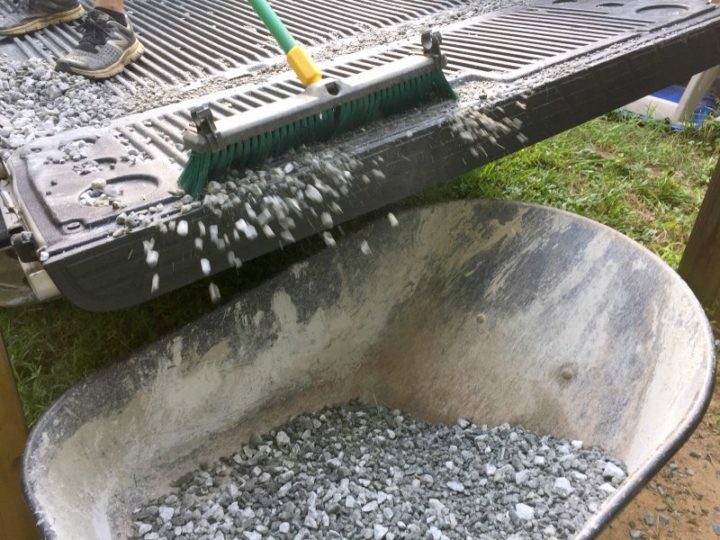 I chose a crushed granite that was a medium-ish size — the idea being that it would likely stay within the confines of the edging in the yard (small stones like pea gravel have a tendency to spread and travel all over the place, which isn’t the greatest thing for when you want to mow the rest of the lawn). Once I got home, we unloaded everything via wheelbarrow and spread with a rigid tine rake. When we got toward the end, a push broom helped scoop out the rest from the truck (not particularly interesting, but I thought it was a smart solution). I swear, I wish I’d started going to a place like this sooner. The savings alone! Though I should be clear that even though their prices are listed by the ton, it wasn’t an actual ton of how they measure things out… it’s based on the scoop of the bobcat (one scoop = one half ton, regardless of actual weight). Still, it’s considerably cheaper than the equivalent amount at the local home store when you buy by the bag (which even when on sale is around $4 per bag), so I’m very pleased with finding an inexpensive supplier. 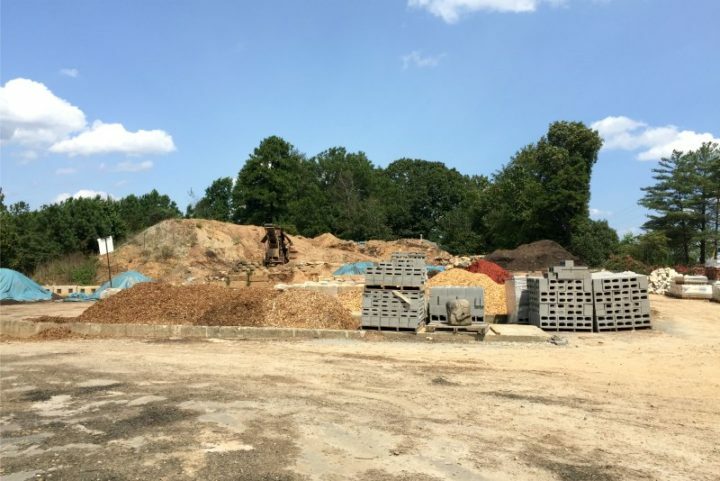 Saving money on mulch — there’s a better deal than bags at the store! And after! 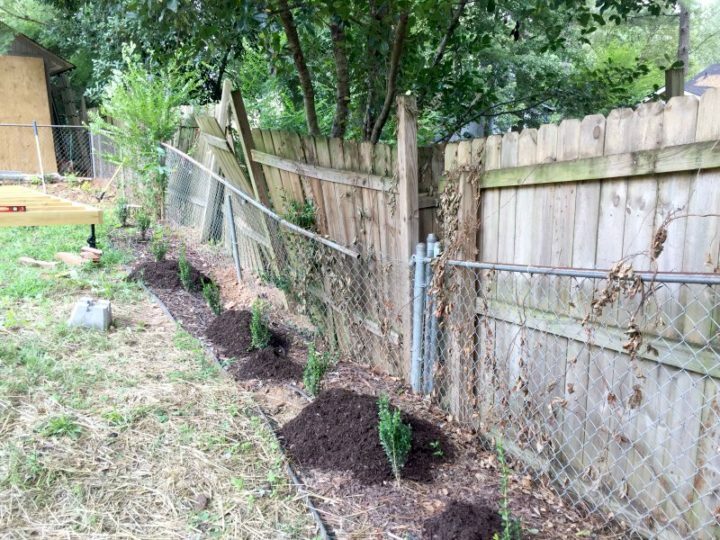 Granted, the chain link fence was also removed over the weekend (I’ll have a separate post about that… along with what happened to my neighbor’s broken fence, sigh), but all the new mulch looks spectacular. *Just in case you guys were wondering, this isn’t sponsored, but I know you local readers might want to also check this place out! « A Back-In-Order Bundle Giveaway! I will have to check locally here. My driveway is in desperate need of gravel (interlocking & another) after I take back what the grass took and put in edging lol. Wow it is really coming along back there! Can’t wait to see more pics! All that rock was only $15.00??? YEP! Only $15!!! And the mulch for my hydrangea beds, hedge line, AND planter boxes was only $27!!! AH! Thanks for sharing! I am always trying to find somewhere that can handle our mulch need and not rely on the bag sales. I am going to check this place out. 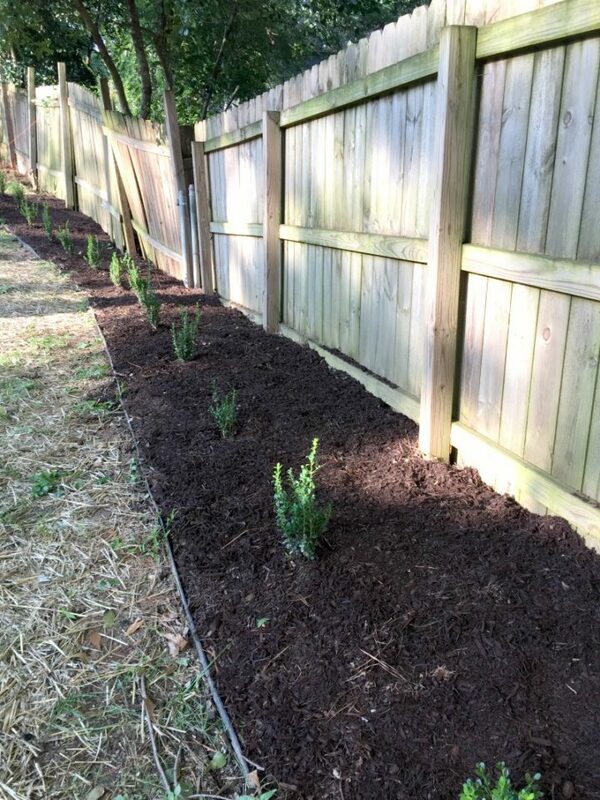 I think we are going to get rid of all the pine straw in the back and fill in with grass/mulch. How do you handle the dead leaves during the winter or following spring. I would love to do this, but even with a blower, would never get all of the leaves out. In my neighborhood there aren’t a lot of leafy trees but rather pine straw, which by observing my neighbors it already looks like I’ll be able to take care of most of it with a blower. Otherwise I’ll have to toss debris into the fire pit to clean up. The area is brand new though, so maybe after a few seasons I’ll figure something out!